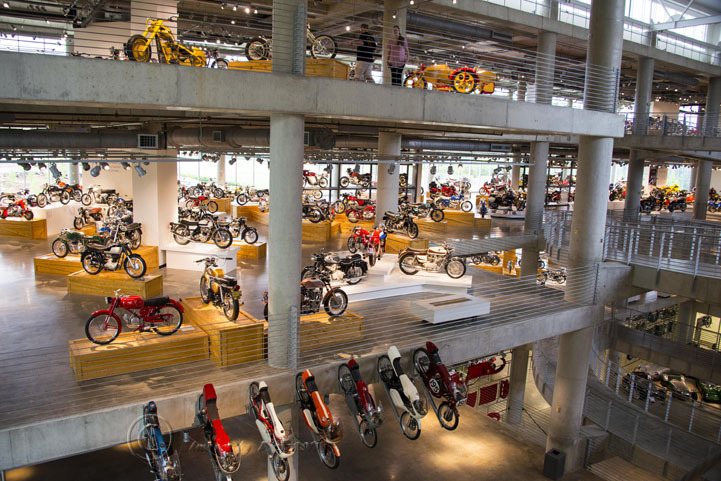 click photo to enlarge I started riding motorcycles in 1972 and had my first bike, a Honda CB350 in 1973 purchased from Jim Ditto Sr. 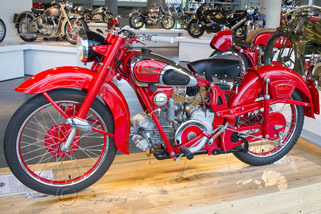 I have been getting and reading motorcycle magazines since 1974. Holy you know what that was 43 years ago. 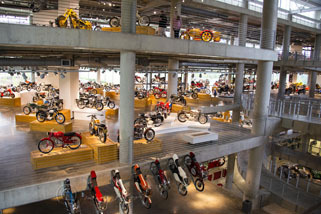 Since 1995 I have been seeing and reading about the Barber Motorcycle museum and how wonderfully they are displayed, how it is the world’s largest and has many of the most iconic motorcycles ever made. Well, I finally got the opportunity to see it for myself. 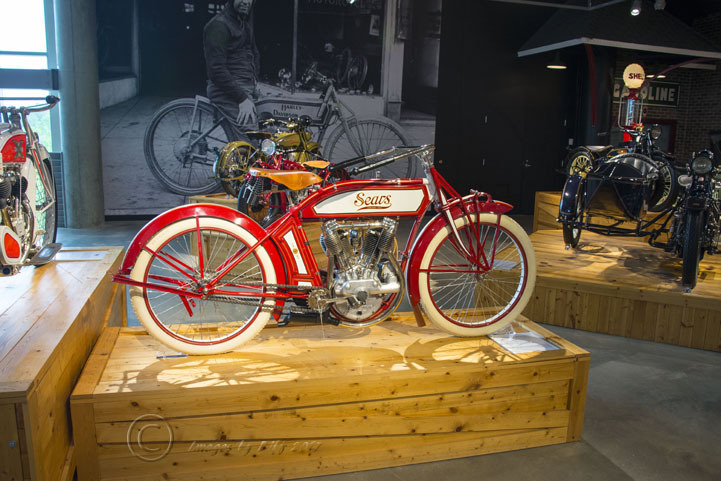 We have seen the Art of the Motorcycle Guggenheim display when it was in Las Vegas, been to the AMA Motorcycle Hall of Fame in both of its locations in Ohio, Sturgis Motorcycle Museum and Hall of Fame in Sturgis and numerous other motorcycle museums. click photo to enlarge Barber is by far the highlight for me. Every place I looked there were bikes that set the stage for new era’s in design. For me the 1969 Honda CB 750, the first motorcycle to be called a superbike and universal Japanese bike set the stage for an explosion of fast powerful bikes at very low cost. 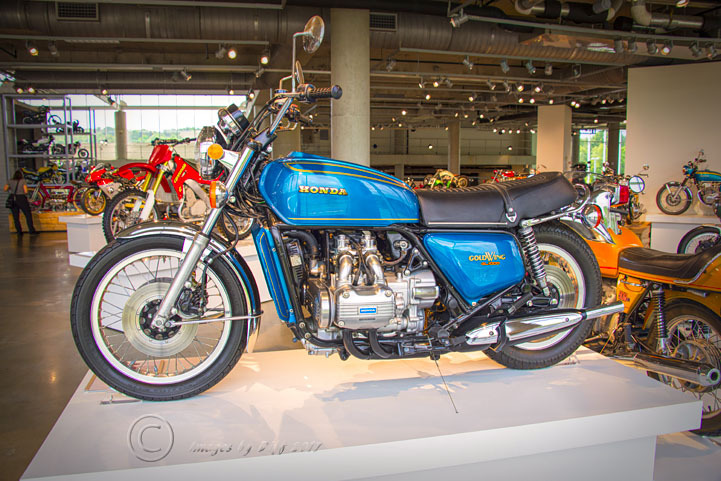 Of course the 1974 Honda Goldwing set the bar for a touring motorcycle. 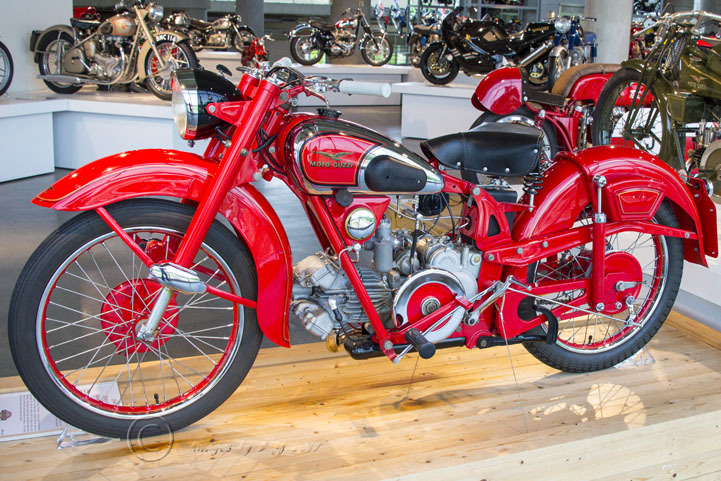 When it comes to motorcycles I am a Honda fan first. 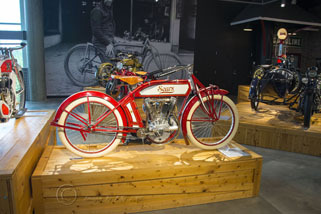 I could go on and on but they had everything from early Indians and Harleys, AMF Harleys, Sears to Orange County Chopper bikes to the latest new electric Zero Bikes. 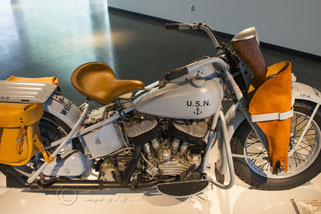 They even had a beautiful Victory bike on display which is now defunct. I went on as long as my feet could handle and had to go up one floor to find my wife. LOL she had not even reached the ground floor yet. I could have spent many more hours there if my feet could have handled it.